UAE-based OPIC (Organization Performance Improvement Company) has inked with The Japan International Cooperation Center (JICE) a deal to cooperate in offering Emiratis trainings in fields of Disaster Management, Sustainable Energy and Artificial Intelligence. The two institutions will also work on the continuation and the further development of a High School Student Leadership Program for Emirati students to visit Japan as part of study tours based on various scholastic and educational themes, Trade Arabia reports. OPIC, which this year won the Sheikh Issa Bin Ali Al Khalifa Award for Volunteer Work given by the Arab League and Arab Federation for Voluntary, was represented at the signing by its President and Chairman, Dr Ahmed Bin Smait Al Ali. 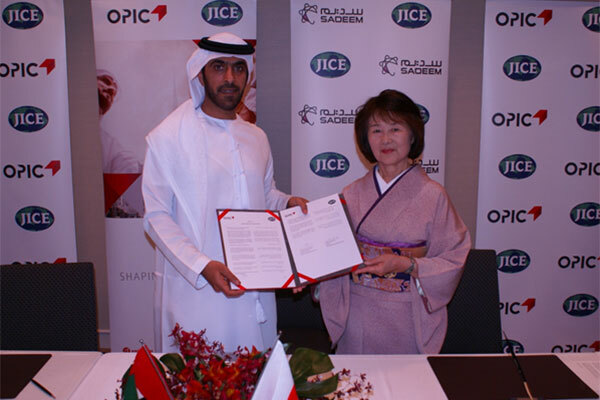 Al Ali believes that the agreement will enable Emirati organizations and professionals to “have greater ease of access to Japan’s world class educational institutions and centers of excellence to develop their skill base. Written by: KanelkaTagba on December 21, 2018. Posted by KanelkaTagba on Dec 21 2018. Filed under Gulf News, Headlines. You can follow any responses to this entry through the RSS 2.0. Both comments and pings are currently closed.